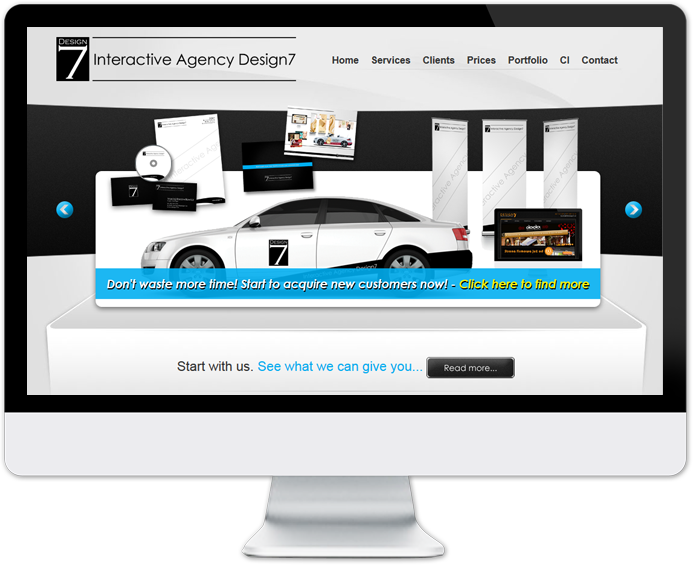 Design 7 is international interactive agency based in Dublin - Ireland and Wroclaw - Poland. Our agency offer for you website, e-commerce / online shop development, complex Corporate Identity, graphic design services, seo / internet marketing and social media solution. Are you required web design? If you are looking for new website design or re-design, or any development work, please contact us, we would love to present and discuss with you all the details of the services offered by us.